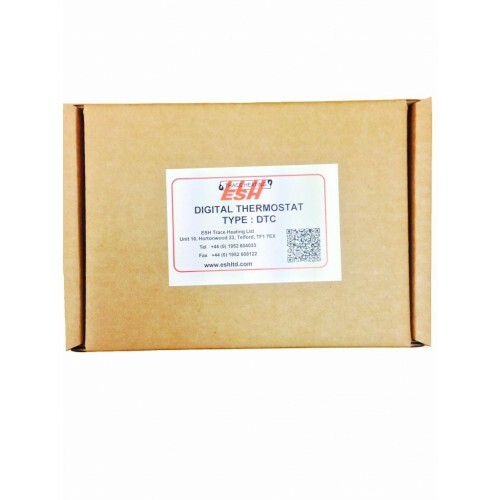 A microprocessor-based digital electronic temperature controller is a versatile temperature controller with high accuracy, suitable for trace heating applications. Type DTC temperature controller has an alarm relay output to allow for integration with a BMS facility. 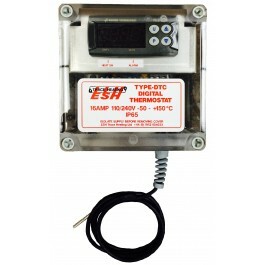 The controller also has the facility to set both high temperature and low temperature alarms. The PTC sensor (supplied with unit) allows for very accurate temperature measurement and accurate switching of the unit upon reaching the required set point. Following setting of your required parameters, the controller can be password protected to stop adjustments to the set points.